Avent Scf110/00 Manual Breast .. This diaphragm restores the pump's original suction power and keeps it working at peak performance. 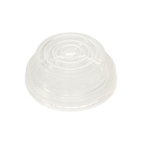 The diaphragm is made from durable silicone and it is BPA-free . The diaphragm is also dishwasher safe for easy cleaning. SCF110/00 Features: Manual Breast Pump Diaphragms, Dishwasher Safe, Silicone Material, BPA Free, Easy To Use, & Clean, Compatible w/ Philips AVENT Comfort Manual Breast Pump"